We are offering free Arborist assessments, but there are also things you can look out for. In any incident, our first thought is always safety. With many burned and damaged trees in urban areas, failing limbs and trees are now an immediate hazard. Second, as stewards of the Urban Forest, our next step is preservation. What can we do to save the trees that are damaged? 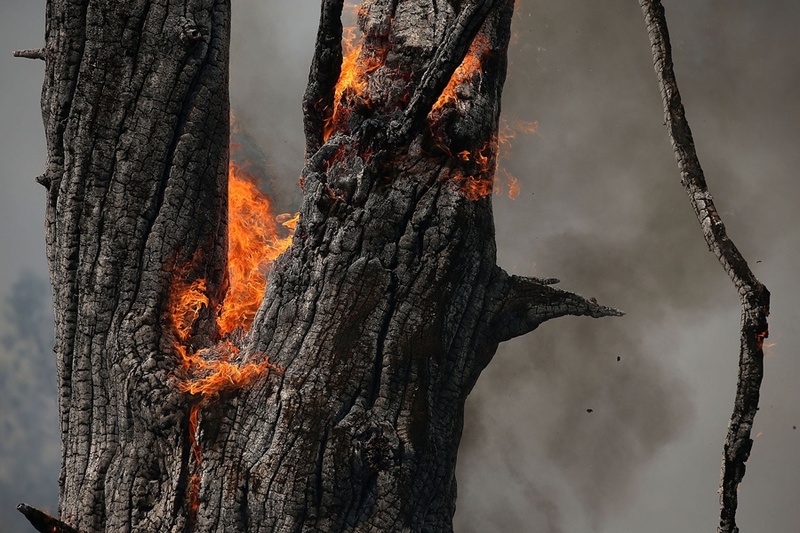 Is there continuous charring with reduction of bark thickness and cracking on the main trunk or large branches? Is the tree canopy more than 60% damaged? Is the damage in V-shaped branch attachments? If so there is a higher risk of failure. If the answer is 'Yes' to any of the bullets above, and the damaged tree can cause harm to persons or property beneath, we recommend that you cone it off to prevent people from entering the area. Immediately call us,or your local tree care provider to safely remove the limbs or tree. 2. Prevent your trees from further decline. soil beneath the tree moist. Soak the ground to a depth of 15 inches and all the way out to the end of the canopy. You can accomplish this with a regular hose at a low flow over a long period of time, or by using a soaker hose. BEETLE, BYE. 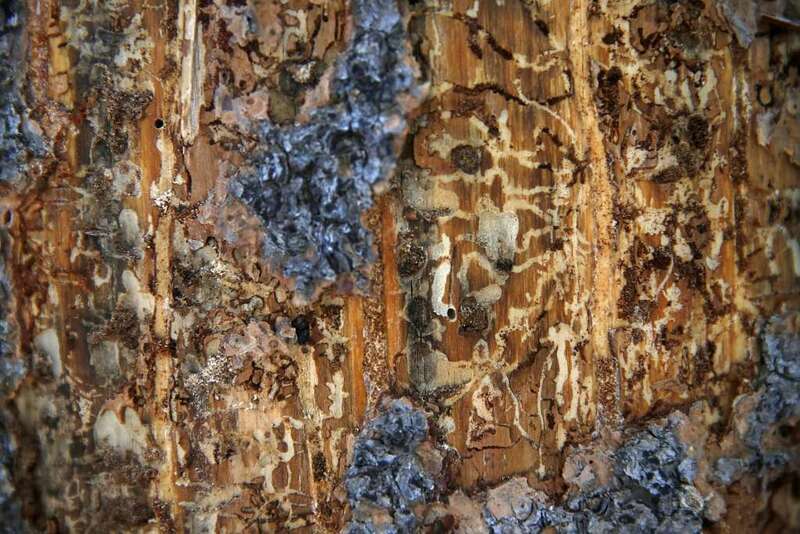 Dead and fire damaged trees are especially attractive to certain insects such as bark beetles and wood borers. These insects are masters at locating weak trees, even before the fire is put out! The best way to prevent these beetle populations from getting out of hand and affecting healthier or recovering trees is to remove the infested trees from the landscape. Paths of bark beetles underneath charred bark. 3. Give it some time. Often, we don't know the extent of the damage until spring comes and we are able to see where new growth emerges. Identifying the species is key to proper assessment. Our native trees have survived hundreds of years through fires and have a much higher chance of recovering. Non-native trees and those with shallow roots systems (ie. Bishop Pines, Monterey Pines, Birches) are less likely to survive. 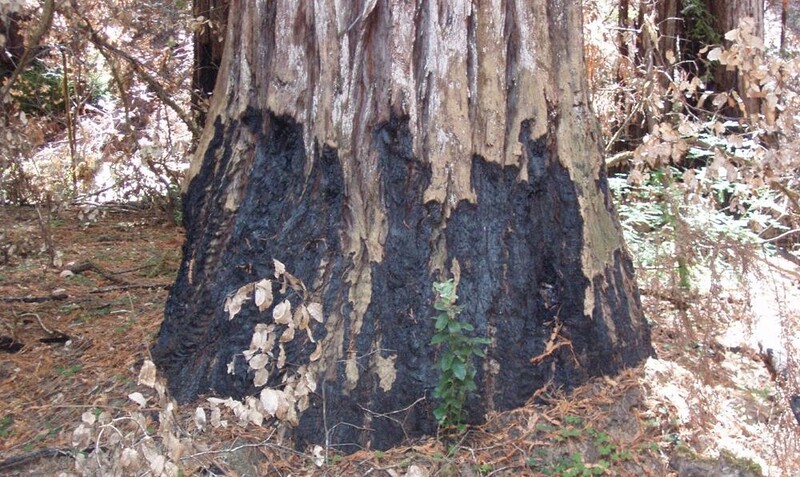 Some mature trees such as Redwood, Douglas Fir, Red Ironbark Eucalyptus and Ponderosa Pine, have thick insulating bark that have adapted to high intensity fires and can recover. Thick bark at base of Redwood tree adapted to fires. Palms may be charred and defoliated, but that hidden bud inside the growing tip may be waiting for improved conditions before it comes into view. If the tree is not immediately hazardous, or noticeably dead, give it some time before you prune or determine a final assessment. Lastly, we are here to serve our community and our Urban Forests. We will gladly assess any damage or concerns you have with the trees on your property. 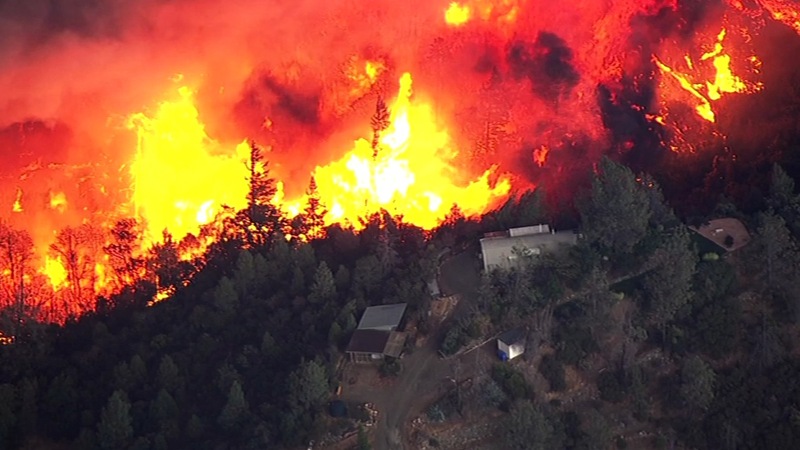 If you would like to donate to those affected by the fires, GoFundMe has put together a centralized location for all the NorCal fundraising campaigns supporting relief efforts here. For all areas, you can donate to the Red Crosshere.